Pink. Pink. And more pink! China Glaze Exquisite and United are both from the 2012 United In Purpose Collection to raise awareness for breast cancer. 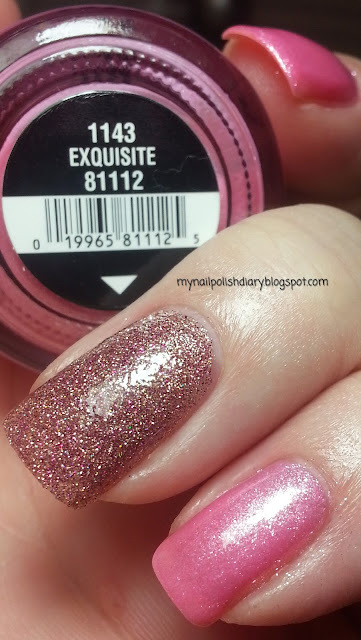 Exquisite is a shimmery pink very similar, if not an exact dupe, of OPI Pedal Faster Suzi. I haven't done a comparison. Probably won't since I don't plan to get rid of either one. It's girly and sparkly and just what this birthday girl loves. It doesn't necessarily go perfect with my skin tone, but since it's my birthday we're not gonna worry about that. China Glaze Mistletoe Me! with OPI Excuse Moi!